I've done it again, I've fallen in love. This time with an Essie nail polish, and only the second one I've tried! 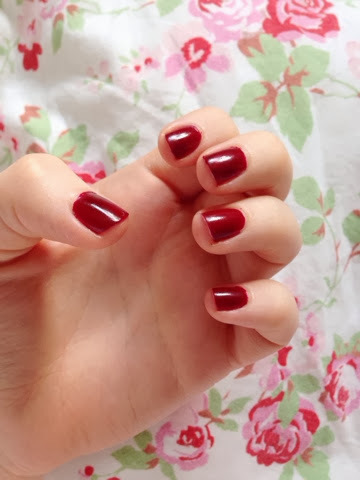 A few weeks back, I picked up Essie 'Master Plan', and fell in love with the shape of the brush, and how long it lasted on my nails, even after a weekend of picking labels off candles at work! 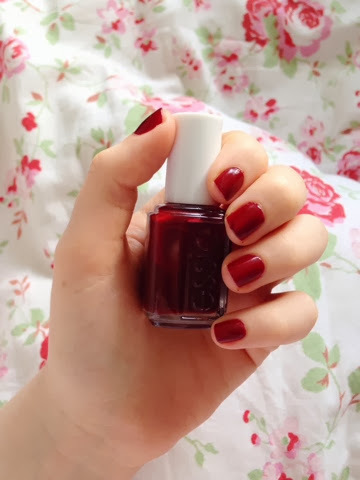 I saw this nail varnish quite a while back, worn by Rebecca I believe! The name 'Bordeaux' has been stuck in my head ever since, and I've always been on the look out for it. Well I finally found it, and it does not disappoint! 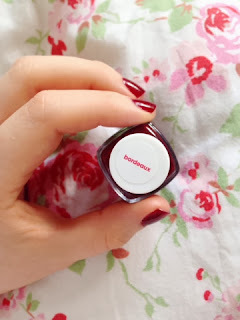 I find it a very similar shade to Barry M's Raspberry and Red Wine polishes, my all time favourites.. although I fear this one may have taken over! It's just a tad darker than Raspberry, and is also a little more opaque, meaning less coats are required. For these pictures, I used a Barry M clear basecoat, and two coats of Essie Bordeaux. 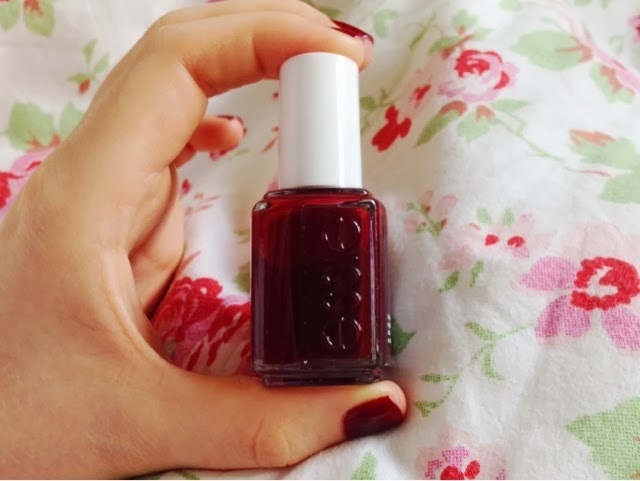 Have you ever tried any Essie Polishes? Do you think they're worth the hype? the color is so lovely! defentely on my wish list! !